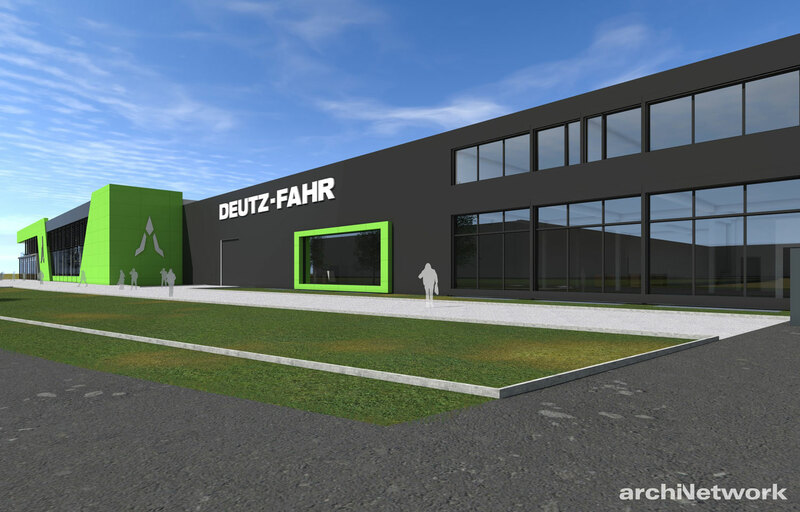 Now that the new tractor factory in Lauingen on the Danube is almost complete, the SDF Group has taken another step towards the future. 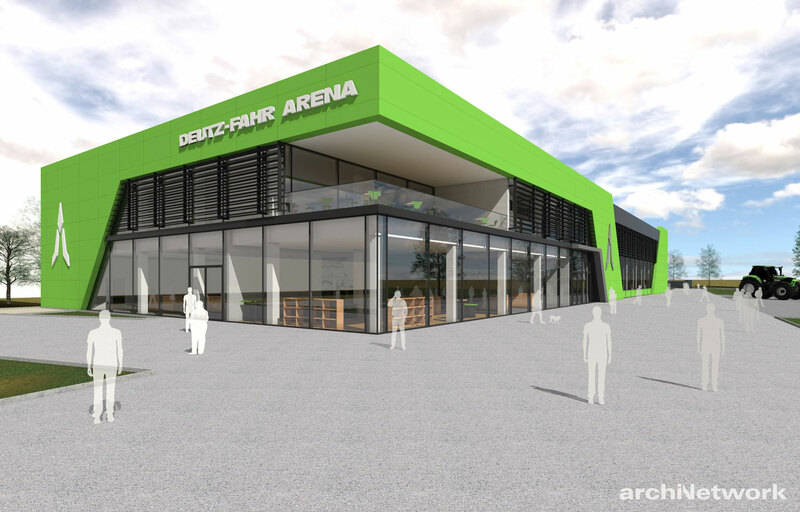 The new DEUTZ-FAHR ARENA, a state-of-the-art visitor and training centre, is being built on an area covering 3,800 square metres, directly facing the new assembly plant. 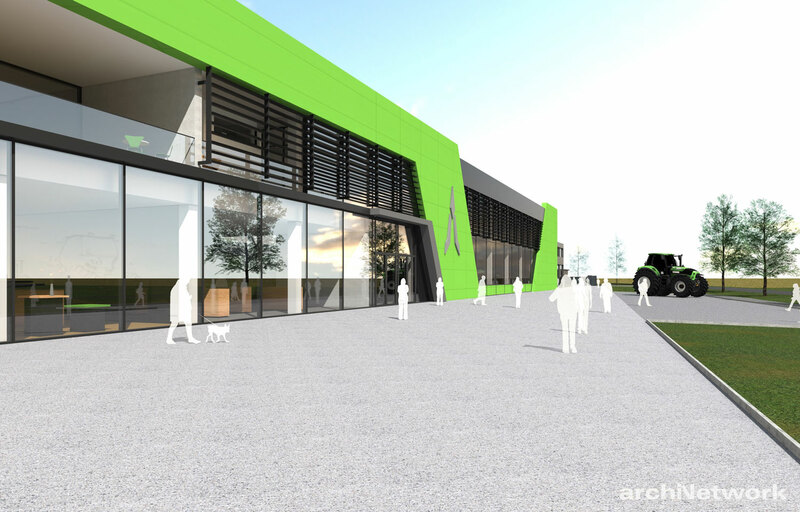 In total, the entire complex offers interior space measuring 38,000 cubic metres. 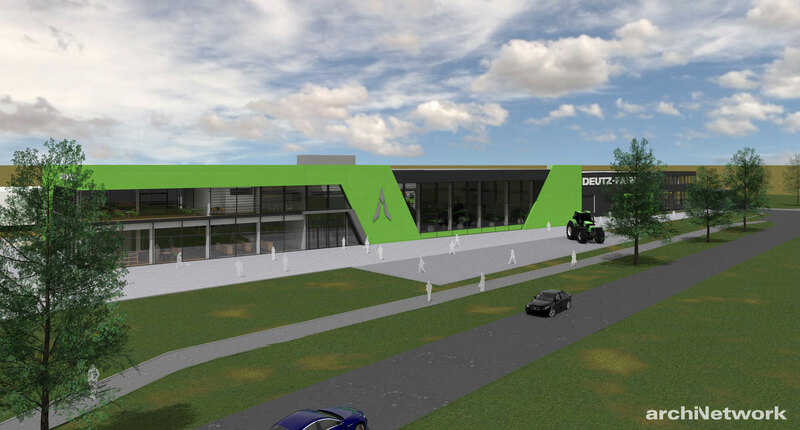 The two-storey building includes a tractor showroom, the DEUTZ-FAHR museum, a cinema and a shop, as well as conference and training rooms. An extensive test track is also being planned. 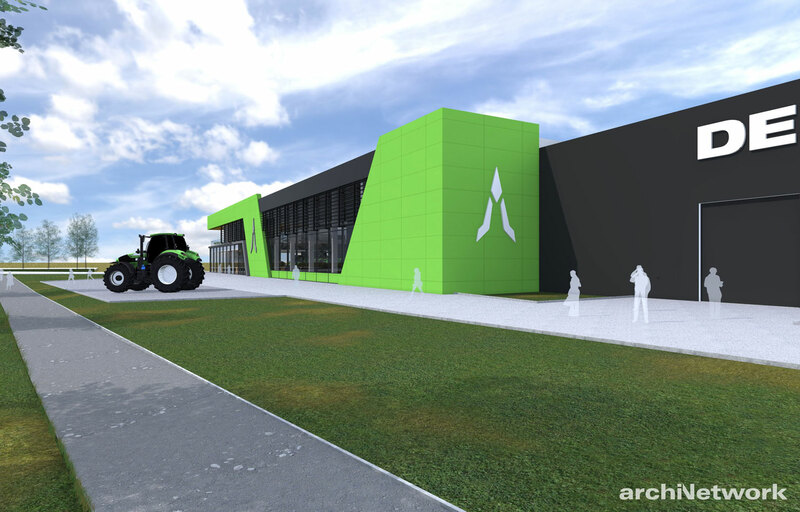 Here visitors will be able to find out all about this brand of high-tech tractors made in Germany, experiencing individual models up close and in person.